"THE GREAT PARANORMAL ESCAPE": HOSTING A REAL PARANORMAL EVENT! HOSTING A REAL PARANORMAL WEBNAR EVENT! How do you run away from the normal world of bills and a economy that seems to be haunted by the ghosts of wall street? Do you delve deeper into the strange world of paranormal phenomena? Or do you consider it all the normal way of life? Few businesses have been left unscathed by the economic turmoil, And the exploration of the paranormal world and all it's creatures, monsters, specters and spooks are certainly not immune. They are effected because we as paranormal investigators can no longer afford to hunt them. As many of you also do, I find myself in these troubling times looking for away to escape the panic and fears of what we call our normal reality. I do this by hunting for ghost in the town where I live of Marshall, Texas. I also scour the internet looking for articles and news stories related to all that is strange and otherworldly. My first interest has always been the existence of ghosts and the thin veil that exist between the living and the dead. Secondly I love to read about Crypto zoological creatures that roam our world. Thirdly the existence of UFO's and alien life visiting our planet. There is no doubt that the current financial meltdown has caused a serious need for many paranormal research groups and monster, ghost hunters with their web site marketing and sales functions in most haunted corporations to be reevaluated, modified, and readjusted. Paranormal Trade shows conventions seminars and conferences exhibiting is one of the most expensive and time consuming activities in the marketing/sales mix, and it often finds itself on the top of the list of the cost-cutting chopping block. Many groups are finding that by thie having to cancellation of Ghost Hunting and even lecture events is happening around the world. But a new trend seems to be starting for those that cannot leave home to attend costly travel to paranormal convention travel to far off lands around the world. These are called Paranormal or Haunted ~ Webinar's. These are a special members only presentation, or seminar, conducted over the internet for a small fee. Several groups are now in consideration of not just having a paranormal blog radio show, are later posted Youtubes of Conferences appear on line but actual interactive web seminars. With many of thousands watching and enjoying the conference via internet or web site connections from around the world. As the web gets bigger and bigger it is becoming more of a battle to ensure your Haunted or paranormal investigative web site gets listed higher up in the search engines. Local ghost hunting groups can sometimes get lost or struggle to get listed at all for relevant keywords or phrases. Their self hosted seminars and conferences usually come in way over budget and do not attract the conventioneers no matter how big the guest popularity actually is. Many paranormal, ufo or crypto zoological small groups often forget or cannot afford today to advertise the upcoming events they are hosting. As you will already know it is important for your upcoming convention or even your haunted web site to appear as high up in the search engine results as possible. Many special guest that appear at conferences do not come to them just to promote their wares. aND often they need the group to pay for their accommodations, meals and incidentals. And the large the personality the higher the amounts they often demand. This is a technique known as Search Engine Optimization or SEO for short and this process can take anything from a few months or even longer depending on the competitiveness of the keyword or phrase you want your web site to get listed for. So if you plan to promote your Paranormal conference in the future realize that with out paying for advertising. Or getting listed on site like Haunted america Tours which promotes upcoming paranormal conferences, conventions and seminars for free. Then you must integrate your information no less then 9 months in advance to get it to possibly show your page in a search. Google has recently made some changes to its algorithms so that when you search for something Google will display local results on the page allowing you to find local businesses relevant to your search query. This of course knocks you out of the running if you are trying to get out of town individuals to attend your paranormal meetings and trade shows. Internet users will be looking for local and regional paranormal conferences when searching on the Web. But if you do not show up then it certainly pays to advertise not only on your site but on others. Internet users are becoming more savvy and will learn to broaden their search phrase e.g. Ghost Hunting WEBNAR services, On line paranomal conventions, Groups, seminars, webinars, often becomes lost unless you campaign your event thoroughly. Often by buying ad space on a well known paranormal web site like this one. And this of course not only boosts attendance but lets people know your legit and worth attending. but as a Paranoromal webnar you can expect over 1000 plus in attendence watching every move and evven interacting by asking questions and even buing goods from the venders and stars in attendence. A special page telling of your Paranormal Webnar Convention as being the best, the biggest and the most special guest and notable attendees is really not enough these days. Always a special stand alone web site convention webnar page will allow the search engines to deliver content that is more specific and relevant to the user about your event. But if you can only muster up a few locals with no reputation as your authorities or special guest in the field then your at a great loss again. My research has shown that around 60% of haunted or paranormal interested household users perform some kind of search for a local ghost hunters, news or service on a daily basis. 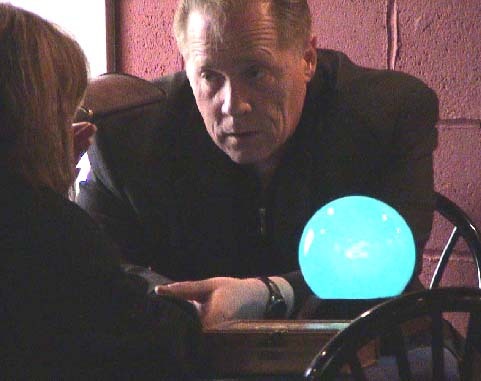 They often skim over the local talent and names and search for the big stars of the paranormal community and the when and where they will be appearing next. Or often how to reach them exclusively to come and investigate their homes business or life. You also would not believe how many individuals actually will perpetrate an actual haunted hoax just to get someone big named in the field to meet them eye to eye. I have heard really strange tales about how a woman in Houston and her paranormal group set up a haunted location just to get a big named Star to come and investigate it for their television show. The Teams production crew arrived and found out that the situation was not as haunted as it seemed and did not produce a show around it. Paranormal Web Blogs, Radio Talk shows and haunted Web Rings often will get the message out there that your hosting some type of event. But this does not fill the seats or help you in raising attendance. Unless your event hosts some special news, or a guest of the magnitude of Jason Hawes and Grant Wilson your lucky if 10 to 15 new individuals might attend. Paranormal Training Webnars's seem to be the glimmer of what the paranormal community's future holds. Ghost Walk is proud to be chosen to host " The Doll House Cam" in association with Knight Paranormal Investigation. Is this the Real Image of "Michael Jackson's ghost"? Ghosts... Real Ghost: The Evidence Is Still Out There! Real UFO Evidence: UFO'S THE REAL TRUTH IN WHAT MANY SAY AND BELIEVE ... And What Do We Really Think We Know! Real American Hungry Ghost Month Cures! "Real Haunted Ghost Tours!" And how to hunt for ghost while touring! Have you attended a real "Michael Jackson Séance"? "The Top Ten Very Best Paranormal Conference- Convention Of The Year"
"The Top Ten Best Paranormal Experts in the world today"
REAL GHOST HUNTING: Why do so many "Fake" ghost hunting documentation? REAL GHOSTS: Today's Ghost Hunting Methods - Uncensored! !